hd00:14Blurred image of a cheetah clears up and blurs the background of wildebeests. 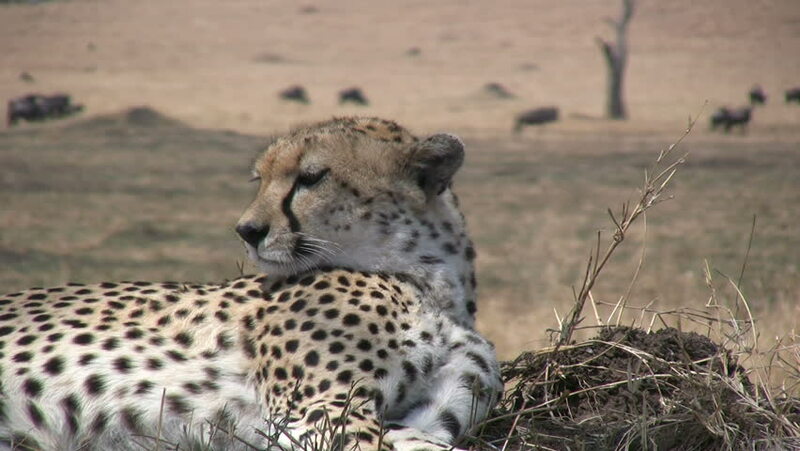 hd00:12A cheetah is attentive to it's surroundings. 4k00:14Cheetah Acinonyx jubatus Schreber lying in Lunaret zoo Montpellier. Close shot in an enclosure.